Yeah. New single out now which I’m really excited about. It’s KLEER backed with my remix of J Beatz’ Subwoofer. 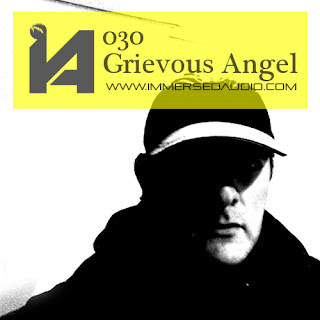 So two slices heavy 130 uk funky – one a hard acid work out, one a banging grime remix. One of the best records I’ve ever made. Blackdown played it a few months ago as usual. Then I think Sinden was the first to play the pre-release on his Kiss show. Plus it’s had some daytime airplay from Rinse, and may be best of all, it’s had some play from the legendary Marcus Nasty. He played both sides and was really working it in the mix with a great MC over the top. Hearing that made my whole music career worthwhile. Subwoofer remix will do damage, drums for miles. and Kleer is just apocalyptic, one for the warehouse I reckon. this is exactly the kind of thing I’m looking for. Hard/deep funky that’s not too fast and kinda tripped-out. I played “Kleer,” and it sounded fantastic, especially on the Horst soundsystem. Thanks again! I feel honored to have been able to play that…. I really like Kleer man!!!! I’m gonna be dropping it on the radio show this week. I bet this one drops hard in the dance too. Can’t wait to test it!!! kleer is wicked. will def play! J Beatz is one of the handful of grime producers I still bother checking – the GA mix of his “Subwoofer” ups the ante with more frenetic voodoo percussion and a touch of sunshine to complement the dread bass. Ruff and smooth in all the right places – one for the heads, as we used to say. 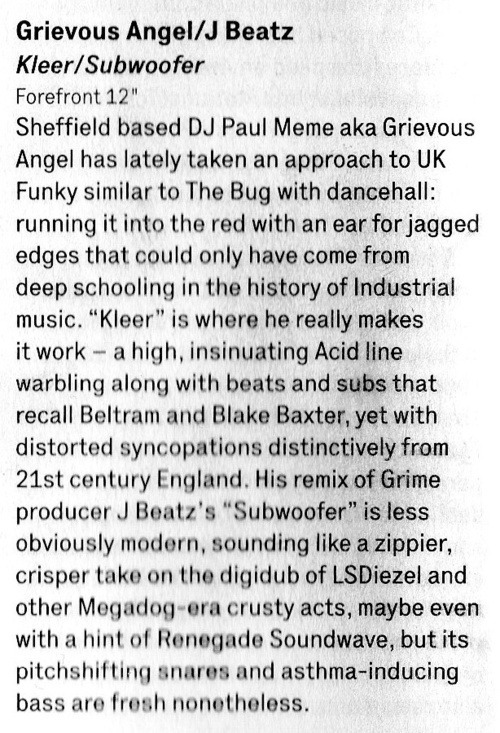 Colin at K Mag gave it a really good review in his dubstep column.